Nestled in the hills over-looking the Renaissance city of Florence is the fabulous Villa San Michele. A luxury country house set in beautiful gardens, with panoramic views of Florence and the valley of the River Arno. The villa is immersed in a sea of green – trees offer shade, birds sing in profusion and the gentle scent of lemon blossom fills the air. In the 14th century Boccaccio, an Italian story teller wrote a famous set of stories known as The Decameron in these hills. A group of young people, girls and boys escape to the countryside whilst the ‘black death’ ravages the city of Florence. There is a deliberate contrast in the stories between the beautiful elegance of the Tuscan hills and the horror and disease of the city below. Nowadays the Villa San Michele offers travellers an elegant and peaceful retreat – adjacent to, but slightly apart from the bustling city of Florence. Florence offers art and history, culture and fashion. Gucci, Salvatore Ferragamo and Emilio Pucci have their head-quarters here. The Medici family dominated this city for generations, they introduced banking here and acquired great wealth. A stroll through the palaces, squares and gardens takes you back to medieval times. To the days when Dante walked these streets. 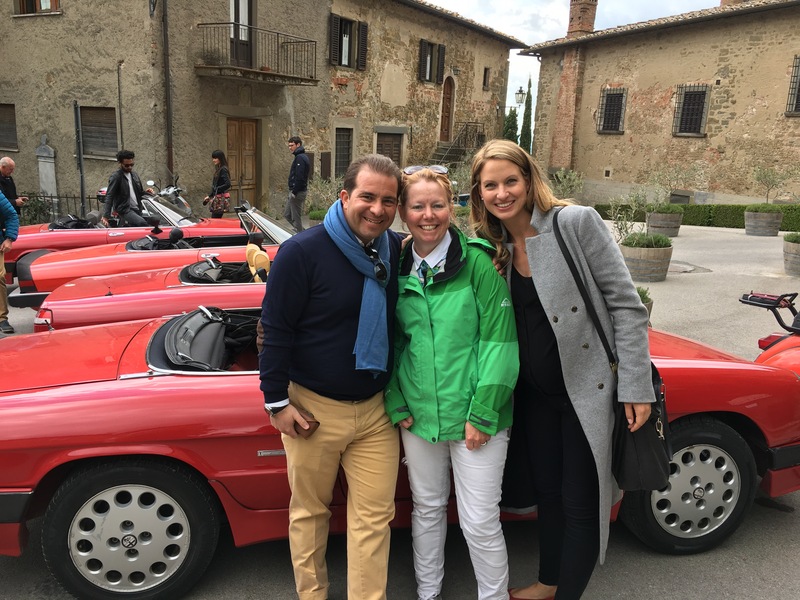 I’m here as a guest of Belmond Hotels – their wonderful sales team has kindly invited me and several other ‘travel and events professionals’ on an amazing ‘high octane’ driving experience in Tuscany. 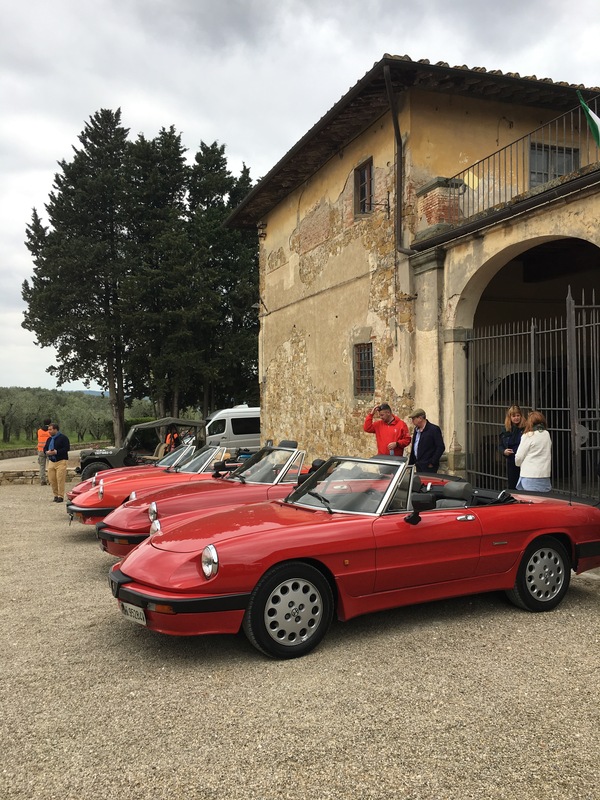 Today we’ve explored the hills of Chianti in fabulous classic Alfa Romeo cars. Brilliant fun. 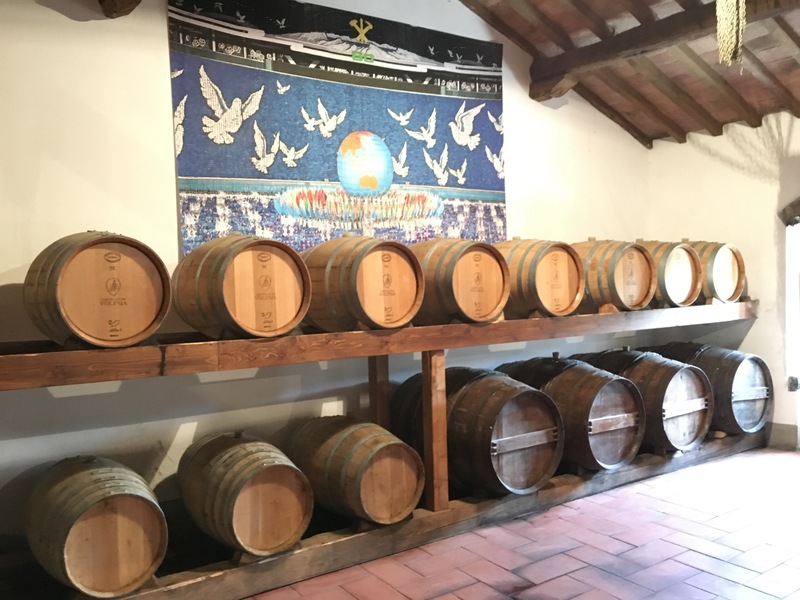 We’ve sampled the finest Tuscan olive oil and some great red wines from Volpaia in the heart of Chianti. 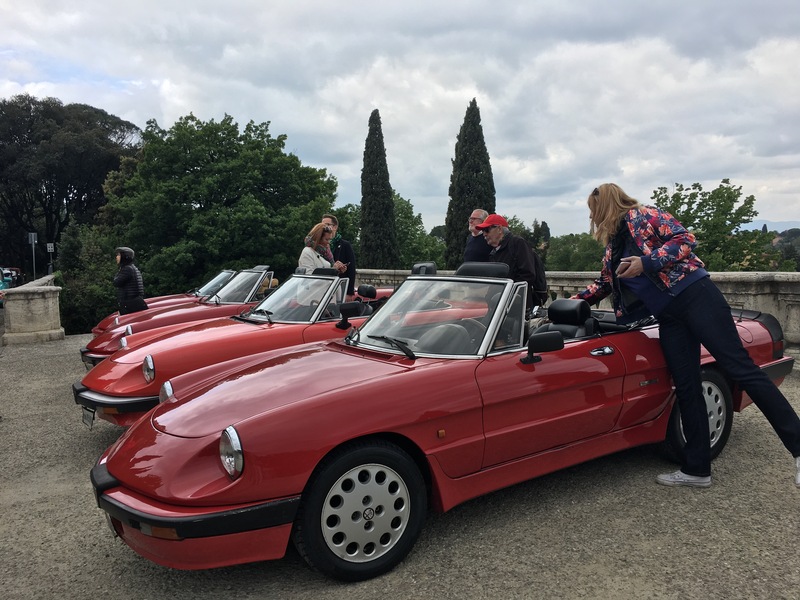 Enjoying the freedom of the ‘Open Road’ in a red Alfa sports car with the roof down has got to be one of life’s golden moments. We drove in convey through the rolling hills of Chianti, escorted by out-riders on vespa scooters. It was like being in a film set where I and my fellow driver Puce (from Versailles) were in a starring role. Someone commented that we looked like ‘Thelma and Louise’. 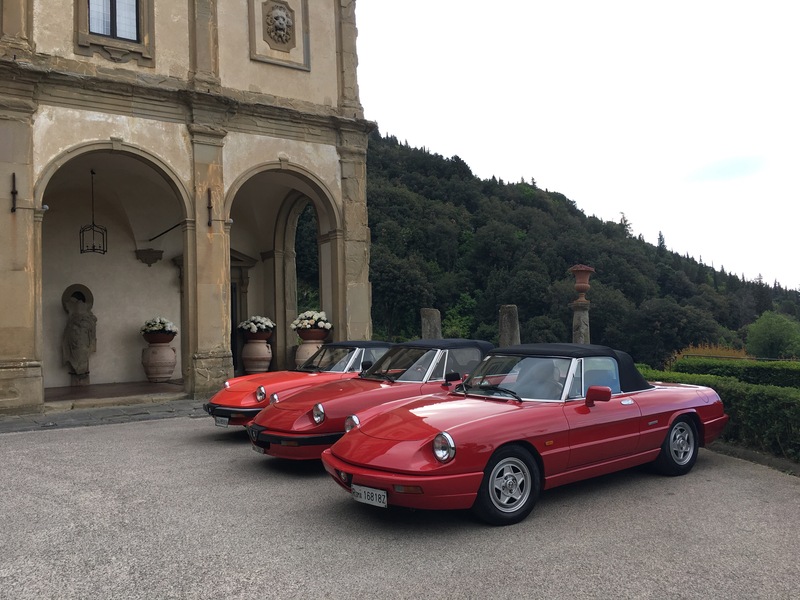 Villa San Michele, `florence – Alfa Romeo’s await us! We had the most wonderful day enjoying the finest elements of Tuscany; Villa San Michele, Volpaia, Villa Torre Rossa, Belmond Hotels. Grazie mille a tutti! There’s more to come in a few days as we continue to explore this fabulous region with our incredible Belmond hosts. 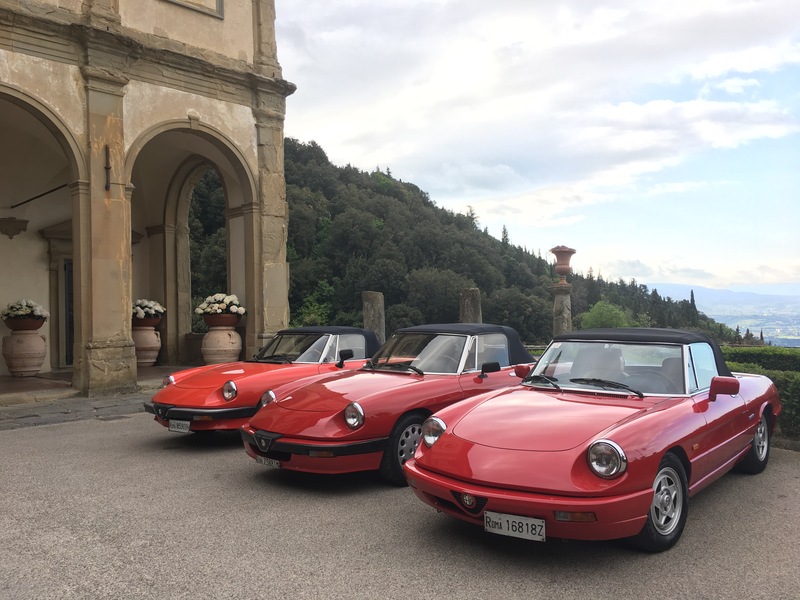 Cars arrive at the Villa San Michele, ready for a day in the hills of Tuscany. Just a short video – on the road!! Your adventures never end, do they, Janet?! Thanks for taking us along!